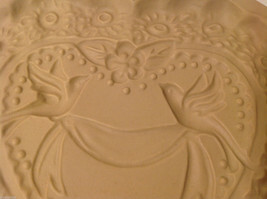 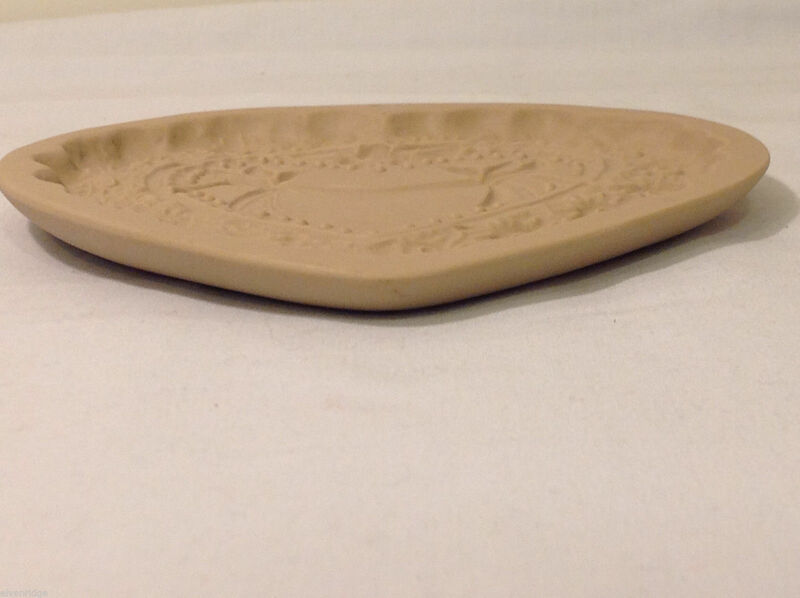 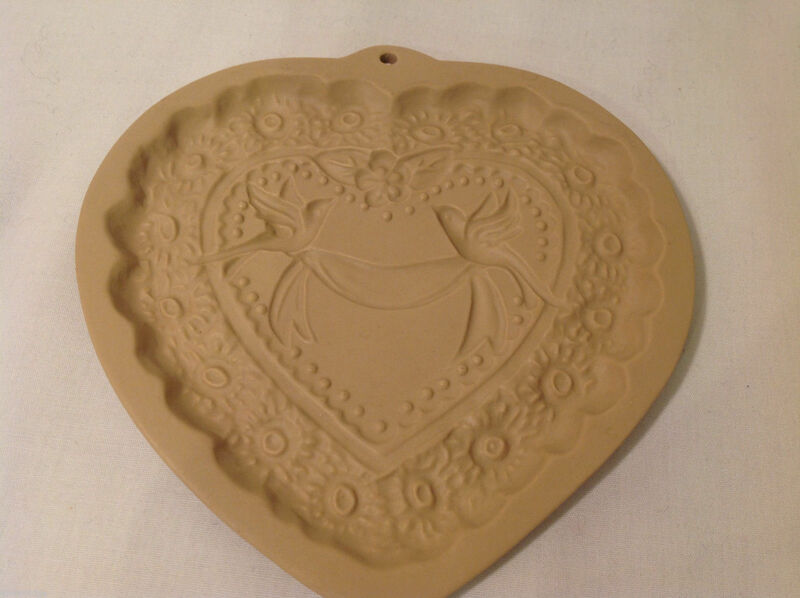 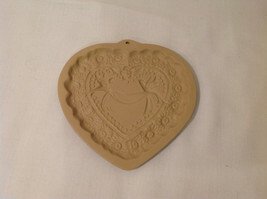 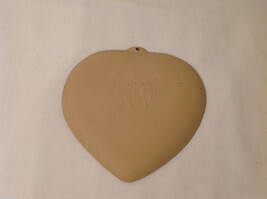 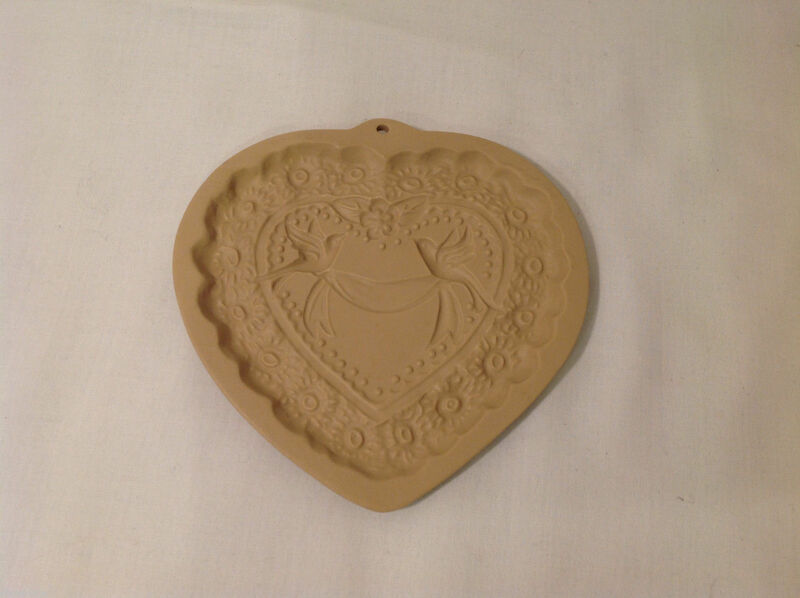 Vintage Heart Shaped Ceramic Cookie Press Plates with Two Doves and Flowers. 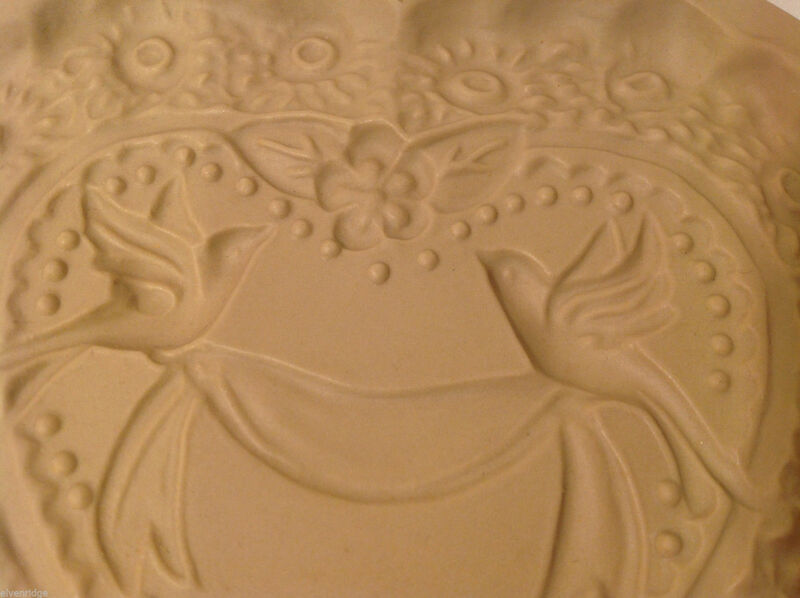 Design on inside of plates. Great for wedding! 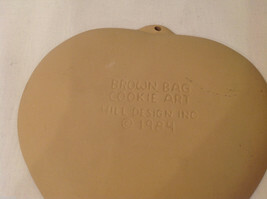 Brown Bag cookie art by Hill design Inc. , 1984.